There is an old Mongolian legend about a hard, long winter that trapped a massive, living taimen in the ice. Starving villagers survived the winter only by eating chunks of flesh hacked from the taimen’s back. In the spring, the ice melted, and the great taimen climbed up out of the river and ate the villagers. There’s a spark of truth in all myth, and the truth is that human beings have been hacking away at taimen populations for many generations. The winters are long, cold, and hard. 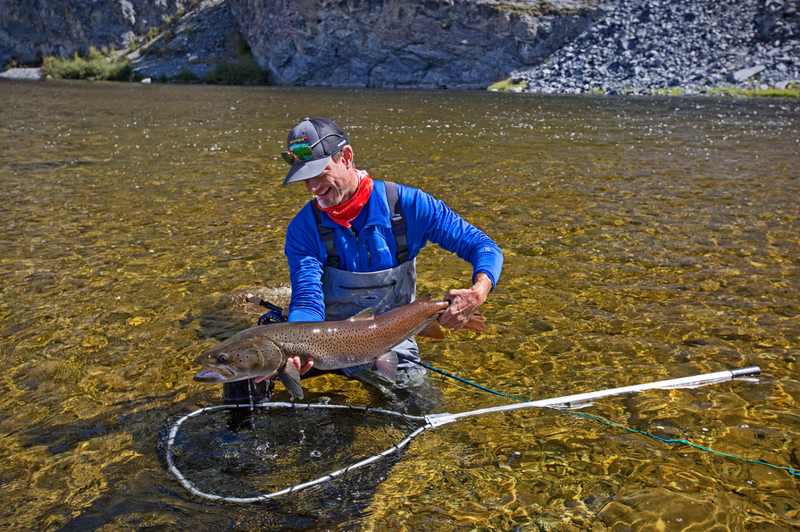 Adult taimen instinctively move to deep, slow overwintering holes where they can find protection from anchor ice and ice floes, and these spots are known to “sport” anglers who use bait and treble hooks with the goal of posing with giant dead taimen, or poachers who view these majestic salmonids merely as food. To stop the slaughter of giant taimen, and equally important, to stem the loss of pristine taimen habitat, more Mongolians need to see the greater value of a reusable resource, and that’s the end game of all taimen conservation in Mongolia. 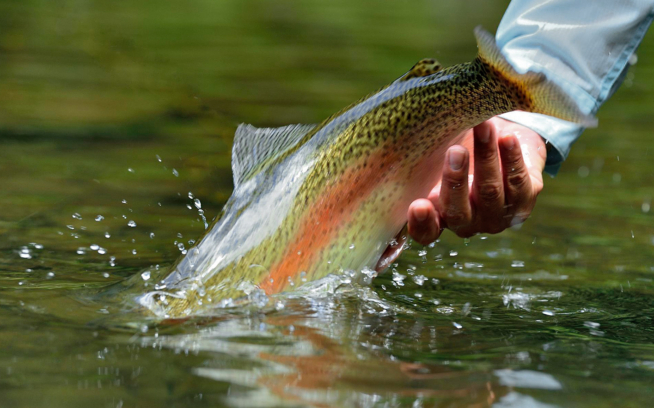 While the Taimen Fund has helped implement successful legislation to legally require catch-and-release of taimen nationwide, and to protect some watersheds from development, long-term success can come only from grassroots support and involvement where the locals have a vested interest in protecting taimen. 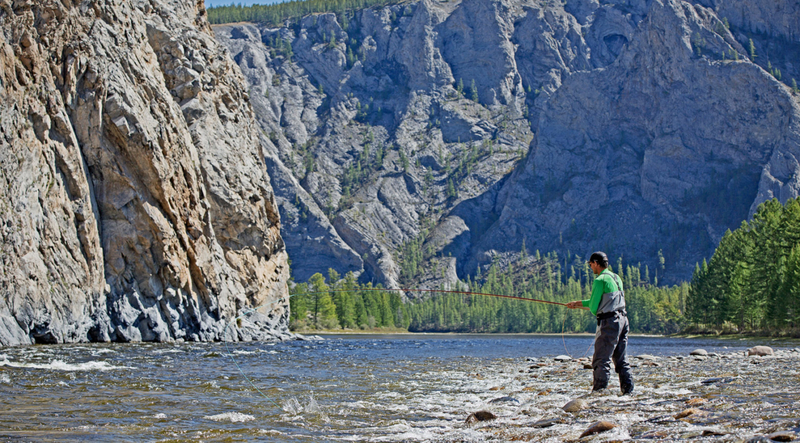 The best way to do that is to teach more Mongolians how to fly fish, or at least show them how fly fishing can support and sustain their communities, their rivers, their health, and their culture. But much of the boots-on-the-ground work in specific watersheds couldn’t be done without partnering with fly-fishing outfitting businesses on Mongolia’s best taimen rivers. 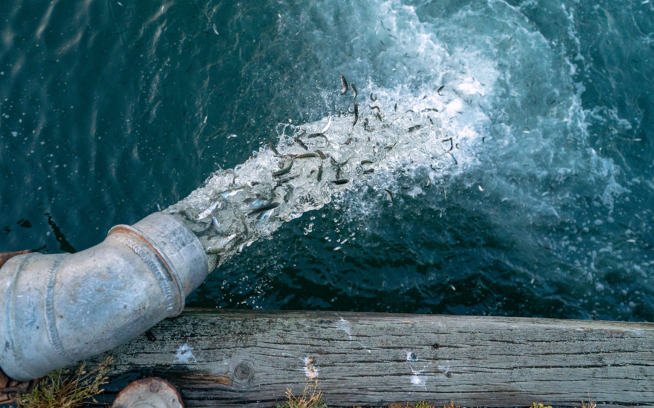 If you are going to build national interest in protecting taimen, you have to build from the strongholds where they still exist, and you have to show how healthy taimen rivers can improve the economy and the community. 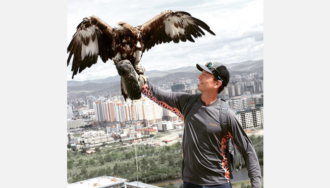 Some of the best conservation work going on in Mongolia doesn’t come from NGOs, but from the outfitting businesses who have skin in the game. But Sweetwater Travel does more than just support the economy. In 2006, Sweetwater Travel, with help from visiting fly fishers, the World Bank and the Taimen Fund (formerly The Tributary Fund), restored the Buddhist Dayan Derkh Monastery, which was destroyed during Josef Stalin’s attempt to purge religion from all Soviet states. My 100-mile trip on the Delgermörön with Fish Mongolia was booked through The Fly Shop in Redding, California, and one of the early participants to sign up for the adventure was pediatric cardiologist Grace Smith. 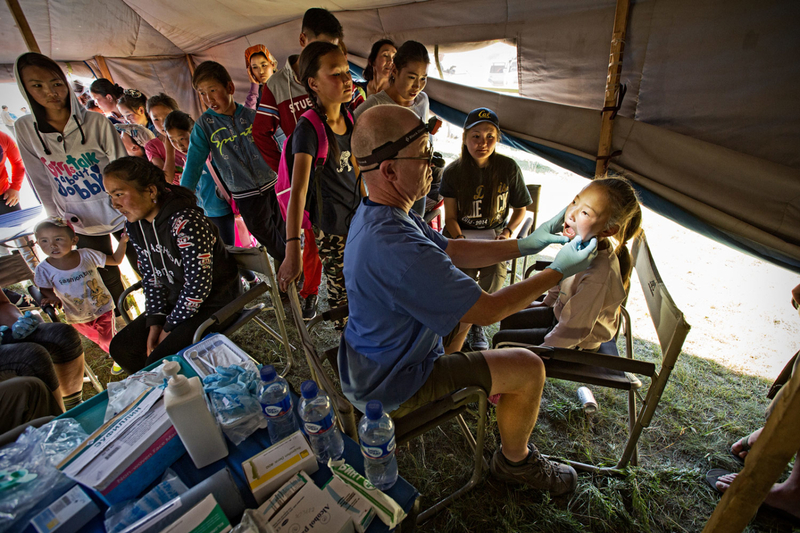 She has previously volunteered for medical missions to Haiti, and her idea was that she could help the Mongolia community in more ways than by just paying for the trip. So she suggested to The Fly Shop that she’d be willing take a day off from fishing to conduct wellness exams on local children. When her idea filtered back to Johnstad, the concept instantly snowballed. With a grant from Patagonia’s World Trout Initiative, a matching grant of $7,500 from The Taimen Fund, and funding from BioRegions International, Johnstad also arranged for medical doctor Erich Pessl and dentist Jeff Johnson to join us for the second half of our float. His goal was a free wellness clinic for local children that would be the foundation of a “Healthy Taimen Festival” on the banks of the Delgermörön, just 13 kilometers from the village of Bayanzurk. 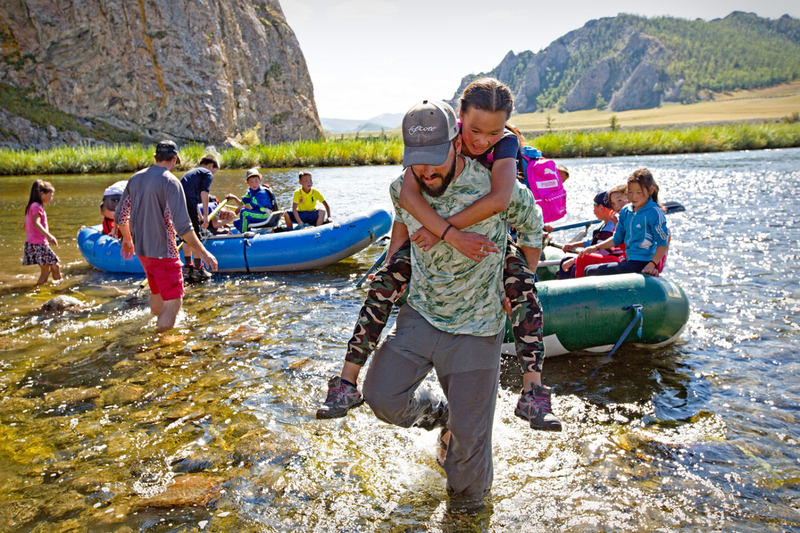 The children and their families waiting in line were entertained by a loudspeaker game of “taimen biology trivia” with Mongolian river guides, fly-tying demonstrations, rafting and tenkara casting and fishing lessons along the river. Patagonia donated three rods to the event, and some of the schoolchildren waited for more than an hour for their turn to use a rod under the watchful eye of a Fish Mongolia guide. Like Tulga’s father, every Mongolian at the festival experienced firsthand how healthy taimen rivers can provide a sustainable economy, and improve the health and welfare of the community. 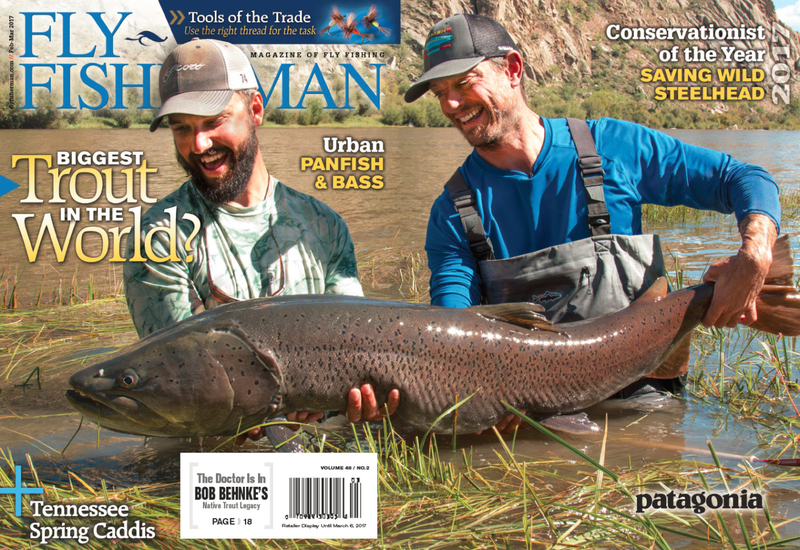 For more from Mongolia, pick up the February-March 2017 issue of Fly Fisherman magazine and read “The One Path: Finding giant Mongolia taimen and a state of enlightenment.” It’s the story of Ross’ 120-mile journey down the Delger River, and how Vajrayana Buddhism and Mongolia’s shamanistic folk religions shaped his views of nature and wild rivers. Print and digital subscriptions are available. 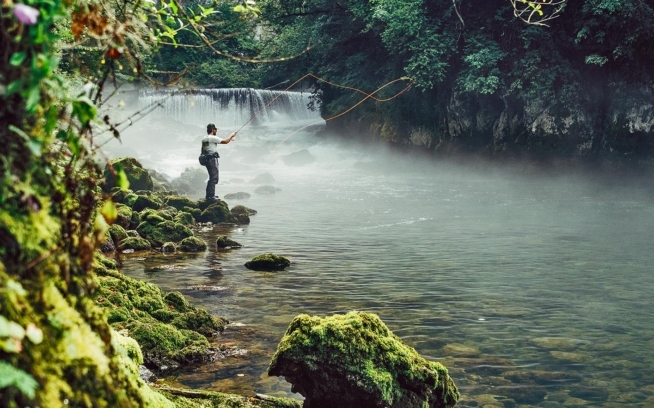 Ross Purnell is a climber, traveler and the editor of Fly Fisherman magazine.